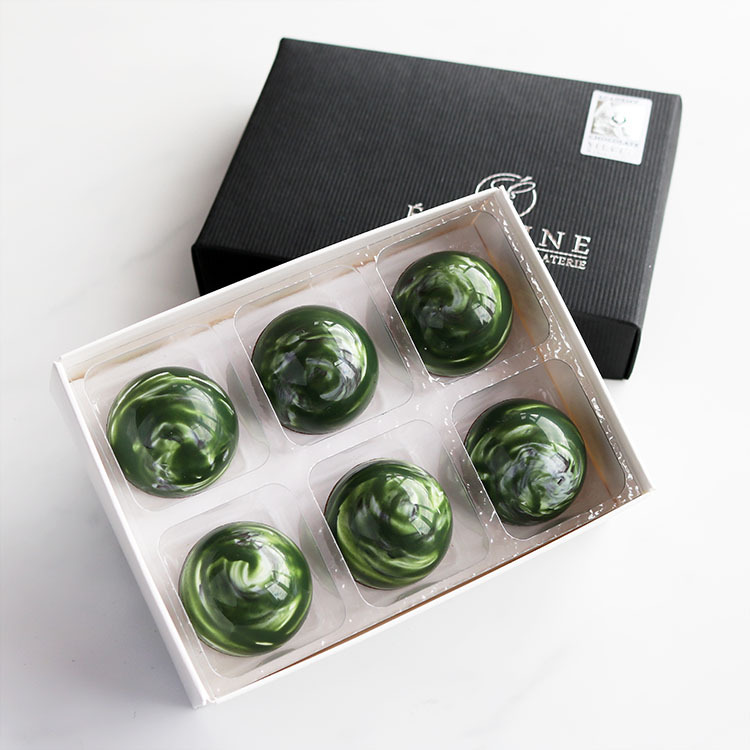 Award winning Gin and Tonic chocolates by Éponine, one of the UK's most exclusive artisan chocolatiers. 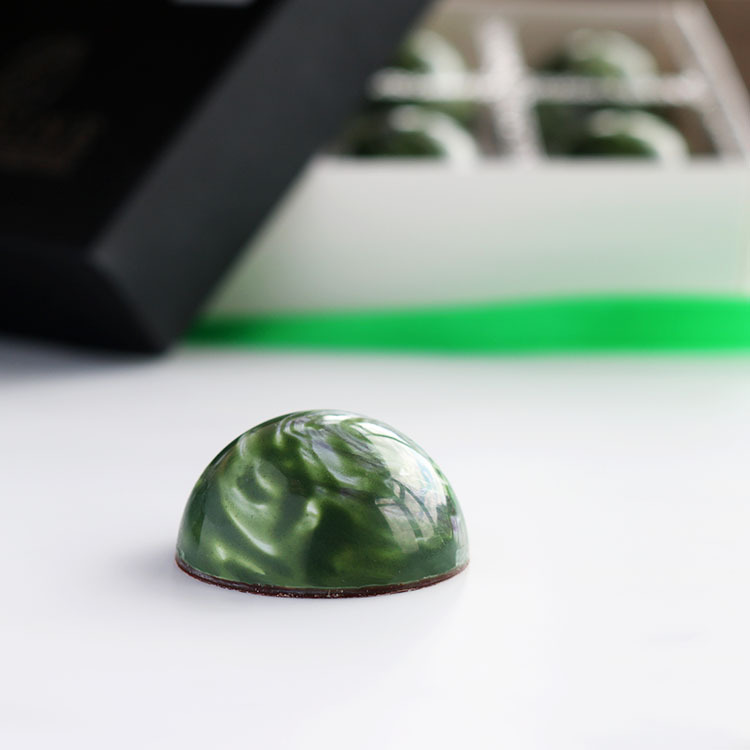 Each hand painted dark chocolate shell is filled with a smooth ganache of white chocolate blended with the exceptional Williams Chase GB Extra Dry Gin. A touch of natural tonic syrup recreates a true gin and tonic, and gives the chocolates a fresh citrus finish. These delicious chocolates are a Great Taste Award winner, and also received a Silver Medal from the Academy of Chocolate Awards 2016. Choose between 6 or 12 chocolates, presented in Éponine's signature black and white gift boxes. 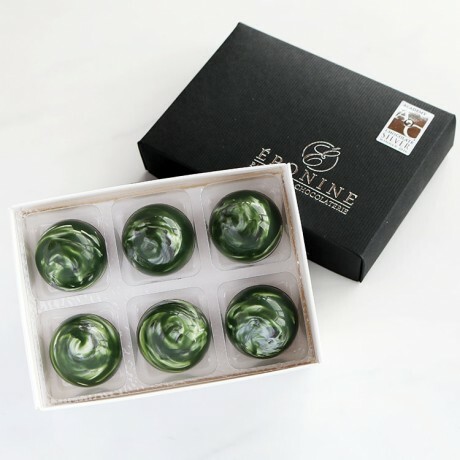 Eponine do not use preservatives in their gourmet chocolates, so they are best enjoyed fresh, within 2 weeks of delivery. Allergens shown in bold. Made in an environment where nuts, wheat, milk, peanuts, sesame, soya & eggs are used. My sister absolutely LOVED these chocolates. My sister absolutely LOVED these chocolates. Scrumptious, decadent chocolates with lovely package. Multi award-winning artisan chocolates, handmade in the UK.